With Ayr off, Newbury takes centre stage on Friday, and if you're a fan of the juvenile division then this is the meeting for you, with five of the scheduled eight races for two-year-olds, including a pair of interesting conditions races. The Flat action continues in the evening with all-weather offerings at Dundalk and Newcastle, while for jumps fans there are meetings at Downpatrick and Newton Abbot. 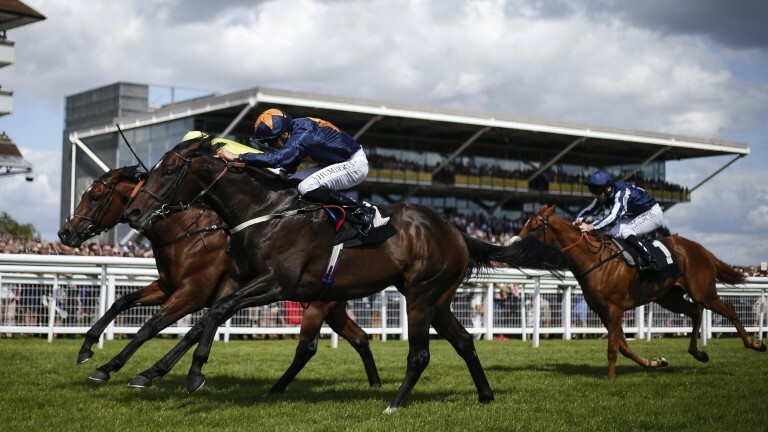 Nick Watts has a pick for Newbury, and dispenses the information in just ten seconds. Plus Paul Kealy has cast his expert eye over Newbury's card, and members can find his selections here. Sporting gatecrasher Richard Melia was up to his old tricks at Yarmouth on Thursday when leading in a winner. The three riders involved in a void race at Perth had their bans reduced to two days from ten, a move that Professional Jockeys Association chief Paul Struthers hailed as a "victory for common sense". Bruce Millington is joined by Racing Post experts James Milton and Mark Langdon, as well as Paddy Power's Ed Quigley, to find the best bets in the Premier League and discuss top betting strategies. There's plenty of football around Europe on Friday evening to get stuck into, and our top team have you covered with their advice here. It's a shame that the Western meeting has been scrapped as the huge field sizes for the Bronze, Silver and Gold Cups show just how much demand there is for the contests.